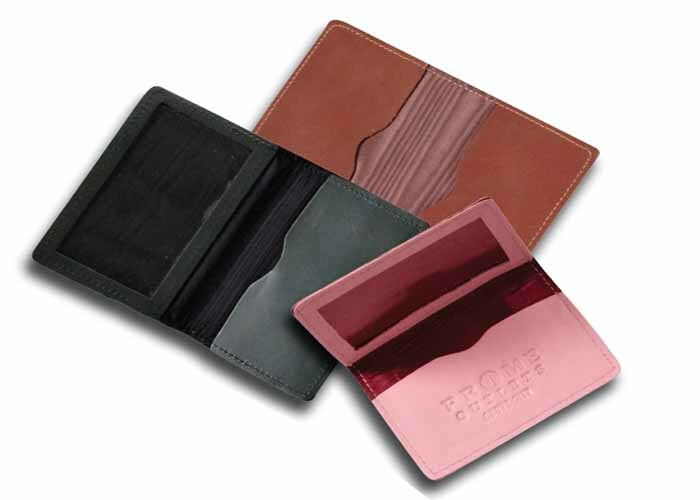 This series of card holders comes in many different sizes. Standard non-windowed pockets are standard. These are well priced promotional items that will always have a use. Construction is either full grain leather or bonded leather. For the most budget conscious buyer, we can sample and quote leatherette. 4-1/4 x 6" Open 4-1/2 x 3" Closed.